If you are a veteran of this profession – or you are new and hope to one day become one – I’d like to reflect a bit on the career path of the community management professional. Specifically, I would like to encourage you to seek advancement and not sell yourself short. When we sell ourselves short as professionals, we don’t do justice to the importance of our industry. It impacts the space and those who work in it, in a negative way. It holds us back. I know that, sometimes, you just have to take what you can get. You have a family to support. I respect that and it’s not what I am talking about. Also, if you are happy where you are and don’t want to take what might be a higher pressure role, I totally get that, as well. Family and happiness should be your priorities. But then there are those of us who might not be aware of what is out there. Or we just might be a little too comfortable. Or possibly we are a bit too accommodating and too willing to compromise that we do so at our own detriment. You have to know your worth. I’ll let you in on a secret. I’ve been talking to some companies about taking a role with them. I’ll probably write about this soon because I’d love to hear about interesting opportunities outside of the people I’ve been talking to. But I also don’t need a job. I’m not desperate for one. If the right role is offered, I’d love to take it. Otherwise, I have other ventures I’ll invest in. I am fortunate to be able to do that and not have to take a job. But I also feel a responsibility. I care a lot about this space and do what I can to help it. I have a deep level of experience, have written books that have been well received and have a certain level of visibility in this profession. I feel like I owe it to my fellow professionals to ensure I take a role that befits my experience and properly values community. If I don’t do that, if I accept a job where I don’t have the authority, autonomy and support that I should, then I’ve let the space down. With my work here and elsewhere, my aim is to advocate for this profession, the importance of it and how high it can go. If I take a job, I want it to be one that shows veterans a role that speaks to what we have to offer and shows newer professionals what they can reach towards. To help visualize this, let’s walk through the progression of the community management role, that I am seeing at companies right now. More than two years ago, I asked if community manager was becoming an entry level role. What dictates that, more than anything else, is the salary paid. The reports that we have these days generally indicate the salary of an entry level role (or close), more often than not. For example, the Social Fresh report of 2012 salaries shows an average of salary of $57,732.77. That’s just not the pay that speaks to a senior role. Let’s face it. For a lot of companies, “community manager” is a way of jamming a lot of responsibilities under one role and getting away with it cheaply. That said, it obviously varies. Some community managers make six figures. At some companies it is a senior role, where more experience and qualifications are expected. There are community departments where there are paid employees who work under the community manager and report to that person. Moderators, assistant community managers, etc. But for the sake of talking about moving up the ladder, let’s start with the community manager role and go up from there. On LinkedIn, there are 154,383 results for “community manager.” Of course, many of these have nothing to do with the online world. But it is fun to see such a high number. The profession has come a long way. Not quite a director, but more than a community manager. LinkedIn shows 1,520 results for Senior Community Manager. Like community manager, what it means can vary quite a bit. For some, it might just be a way of recognizing (and keeping) a more senior member of the team without adding a ton of extra responsibilities. For others, it might mean that you get to look at a bigger picture view and oversee the actions of more junior members of the community team. There are other in-betweens beneath the head of the department. For example, some might call themselves Community Strategist. In a traditional business hierarchy, directors report to vice presidents. VPs are more strategic while directors are more tactical. But in looking at various higher level community jobs, I’ve found that sometimes it just means “head of department” (regardless of how it is worded). Of course, you can also run into the “senior” verbiage here, as well. Senior VP, senior director, etc. There can be levels, it just depends. While you might see a VP of Community and Director of Community at the same company, mostly you just see one or the other. This role typically oversees a community department. That department could be large or it could be a small group. Maybe even one person (for example, if you want to make a high profile community hire to launch that department at your company, you’d likely hire someone in this role, as they then work to build out a department over time). This is the peak of our profession as far as job titles are concerned. Even with that said, for a lot of companies, the Director of Community is essentially their Chief Community Officer, just not in title. The use of the title is fairly rare but is slowly growing. LinkedIn has 140 results. The first person I knew to have this title was Bill Johnston, when he was at Forum One Communications. He had it back in January of 2008. Bill is the greatest. He’s one of the leaders of our industry. I’ve joked with him that he’s the pioneer of awesome job titles for us. Right now, he is the Director of MFG 360 Community & Customer Experience at Autodesk (MFG is short for manufacturing and 360 is their cloud platform). Before that he was Director of Social Media and Community. He went to Autodesk from Dell, where he was Director of Online Community & Social Media, Commercial Business. As I said, great titles. Update: in the comments, Bill mentioned that he borrowed the title from Jenna Woodul at LiveWorld. According to Ms. Woodul’s LinkedIn profile, she has had that title since 1996. Since Bill doesn’t have the CCO title anymore, does it mean he’s had less responsibility? No. I’m sure his responsibility has only increased. He’s the CCO of the units he heads, but it just doesn’t make sense for the companies he is at to have a community professional at the C level. Not yet, anyway. Another person who has this title is Rebecca Newton, the Chief Community & Safety Officer at MindCandy. She’s another super impressive veteran mind and a pioneer in our industry. You can look at her as a great example of how to ascend. Here is how Rebecca’s career has grown in this space: Program Manager, various AOL Forums at America Online > Program Manager, Community Leader Program at America Online > Community Director at Lifescape > Director of Marketing/Product Development at HeyMax > Community Director at HowStuffWorks.com > Community Operations Manager at Sulake > Director, Community at Sulake > Director, Community at Mind Candy > Chief Community & Safety Officer at Mind Candy. That’s a pretty solid example of how you can grow in this profession. Bill and Rebecca are both wonderful examples to follow. Outside of individual titles and roles, for me, one of the more exciting things is when community becomes a department onto itself – not simply a function of marketing. That is an area to push into. From being the community manager to managing your own department with the autonomy that provides. That can really open things up and create a fun, rewarding professional experience. We are seeing this more and more and there are some very mature community departments out there. There are more on the way. In this article, I mainly talk about progressing through the community ranks. But obviously professionals move between departments and job functions. You might move to marketing or PR or communications or even a more drastic change. There are a lot of things you pick up that work well in other areas of business and vice versa. In conclusion, I encourage you to reach as high as you wish. If you are feeling stagnated where you currently are, with no opportunity for advancement (and you want it), look elsewhere. Don’t think it’s not possible because a given company doesn’t do it that way yet. Don’t sell yourself (or us) short. Patrick, a huge round of applause for this post. This is a wonderful roadmap for growth in the profession. Maria Ogneva and Ligaya Tichy are two other wonderful examples of how you can grow and move beyond community manager to higher roles or take on the job of a consultant or strategist (Ligaya is now an angel investor and advisor to many wonderful startups, so a very different path). And it’s totally true: if we take on roles and find that there is no room for growth or that we are not respected for what we do, we should leave. Not only will staying make you feel stagnant, it also sends the wrong message about what we do and what our value is. As always, I admire your authenticity and insight. Thanks for sharing. Thank you, Carrie. That is very kind of you. Thanks for the mention Patrick! Credit where credit is due, I actually borrowed the Chief Community Officer title idea from Jenna Woodul. 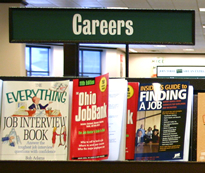 You raise a lot of interesting points about career arcs for Community Professionals. The truth is, we don’t really have great paths forward *yet*. The typical is entry level social or community manager to a Sr Manager then Director position. I do think there is a resurgence of interest and investment in online communities by more enlightened brands given that the organic reach (a.k.a. the free ride) on large social networks is mostly in decline. Thanks for the comment, Bill. That’s cool to know, regarding Ms. Woodul. I’ve updated the article with that info. Always great to have your perspective. What do you think a great path will look like (or could)? This is really a great post. I am not a Community Manager but I have worked as Moderator for 13 years and during that time I have worked very closed with a CM of the site so I have a quite good idea of their task at work. Lots of responsibilities they have to bear. I totally agree that they cannot sell there skills cheap. Unfortunately the work market has more demands for the job than offer and that leads employers to offer less salary. So the lack of job and the needs the families go through all over the world makes people to accept what is offered fair or unfair. Personally I am retired and my retirement pension although not high give me the freedom to say yes or no to a job offer but not everyone can do this. I feel very sad because I am not moderating at the moment and not having the chance to have a work that keep my mind busy, but I would not take a job with salary not suitable with the responsibility in it or under the market offer. I totally agree with what is written in the post but I recognise that not everyone can follow it sometimes because it implies families survivals. Which is unfair! Thank you for adding that perspective, Ms. Reis. Very glad you did. My first job in the sector was as Online Communities Producer at the BBC (1997), then Online Communities Editor (around 2000) as an online communities department grew around me. The Online Communities department was subject to various strategic ebbs and flows as having a community around BBC TV and radio programmes went in and out of vogue, blogs rose in popularity with the BBC management as the cost of moderation went up for the – then – countless forums, live chats, and chat rooms, we/the other Online Community Producers were running across the BBC. From 2002 the BBC wanted to outsource much of the social activity to be run externally on Facebook/elsewhere as the moderation bill for managing so many social media areas was seen as not scaleable. User-generated content took over as being something more in line with the BBC’s strategy. I did a PhD and moved into academia, to study the interactive relationship between public service media and the public, moving into a second career path of Senior Research Fellow > Deputy Head of Faculty > Professor of Interactive Media. I think you have to be prepared to adapt to the changing strategic priorities of organisations, keep your skills honed, and I agree with you that it’s important to keep talking to lots of different people. Community professionals have essential skills which are still undervalued, but we are an increasingly important element as organisations become more affected by networks and engagement with customers rises up the strategic agenda. I ended up advising the Council of Europe on community management and got involved in policy-making at EU level; the world is our oyster, and increasingly this will be the case! Thanks for plugging Emint, an essential resource for our profession. My pleasure, Ms. Jackson. Thank you for the great comment and behind-the-scenes insights.